The two basic techniques for sealing ceramics to metal - "molybdenum-manganese" and "active-metal (including titanium hydride)" - were pioneered by General Electric over 45 years ago. Our history and experience goes back to the days when we were General Electric. Though no longer part of GE, today at MPD's facility in Owensboro, Kentucky, this same leadership is making available newer and more sophisticated techniques and processes to meet the critical demands of medical, aerospace, industrial customers for sensors, feedthroughs, hermetic seals, structural components and other advanced precision ceramic/metal assemblies. 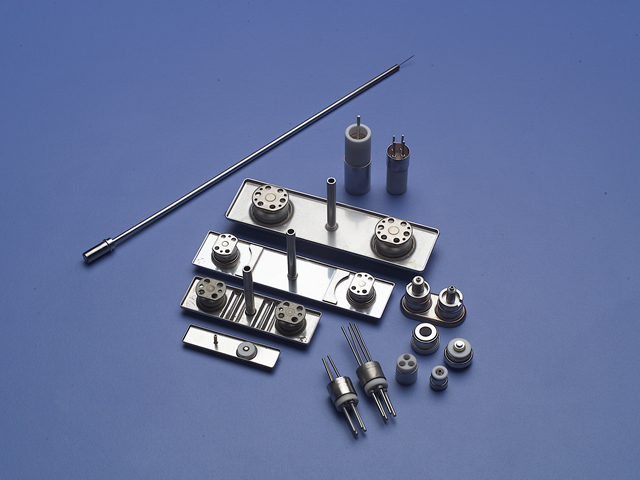 Please contact us so we can help you design a ceramic/metal component to meet your needs. In fact, depending upon geometry and seal design, virtually all metals can now be satisfactorily sealed to one of MPD's ceramic materials. Through the use of proprietary as well as standard industry techniques, ceramic-to-metal seals can also be prepared to stand duty in severe environments involving ultra-high vacuums and temperatures, high RF fields, corrosive vapors and liquids, and many others.